It is painfully obvious to everyone in hockey that the NA3HL is in serious trouble. There are roughly a dozen teams that do not have full rosters and are playing with unsafe player numbers. The NA3HL’s problems were predictable and avoidable. The trouble the league members face is purely of their own making. Those troubles will not only continue, but they will worsen in the seasons to come. Lets be clear. There are roughly one dozen NA3HL teams that are run well with great people who do a great job. But that’s it, only about a dozen, and its easy to pick them out from the rest. The Tier III NA3HL is marketed as the “development league” for the Tier II NAHL. The truth is that “marketing” the NA3HL as the “development league” for the NAHL has been shown to be nearly mythical. Zero NA3HL players drafted to the NAHL in this most recent draft. Less than one player per NA3HL team on NAHL opening day rosters this season. That’s the “development ladder”? A miniscule number of NA3HL players ever make it to the NAHL. Parents and players have finally figured this important point out. The NA3HL produces fewer NCAA D-3 players than other Tier III leagues. Significantly fewer. The NA3HL has a non-sustainable business model. Massive expansion can not be supported by the number of available players in the pay to play Tier III market. 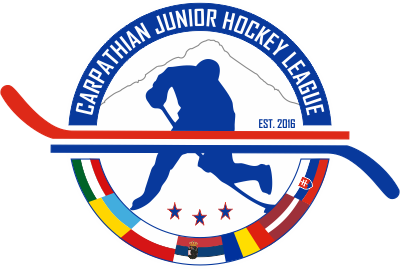 USA Hockey, Hockey Canada and every other IIHF member releases player data to the public. 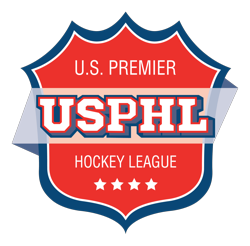 The NA3HL, and the NAHL have that data and know there are not enough players to fill all of the Tier III teams in the United States. So why did they continue to expand? They hopped belief in the myth of NAHL development to hold true, and they were arrogant in that belief. They wanted the expansion franchise fee’s from “owners” who thought they could make money in this business. NA3HL owners have been told that NAHL cut players will be sent to them. NA3HL owners and coaches relied on this. But they did not understand that the players and parents have figured out that the league is simply not what it has been billed to be and they went to other leagues. This over expansion in a limited player pool has caused NA3HL teams to take players who should be playing Midget AAA. This is not what Tier III junior hockey was ever intended to be. It has damaged the careers of players who simply did not understand that Tier III is not where young players are supposed to be developing. In the 2016-2017 season the NA3HL had 48 teams. This season, after pre season and in season teams folding, the NA3HL is down to 44 teams. This with a dozen more that could potentially fold if injury or illness run through some locker rooms. The NA3HL level of play for these reasons is substandard. The NA3HL is not even close to being as good as the EHL or USPHL Premier when looking at all leagues as a whole. The level of play is only slightly above that of the RMJHL. The NA3HL was also far too concerned about what the other Tier III leagues were doing when it came to politics. They spent too much time playing politics with USA Hockey happenings instead of doing their jobs and competing for players on the recruiting trail. Again, all of this was not only easily predictable, but the smart NA3HL owners and coaches were prepared for it to happen. The smart ones have full rosters and are competitive. Now, when the entire league is suffering because of poor planning and even worse execution, the NA3HL leaves a published story up on their website from nearly two months ago talking about the “ladder of development”. As if miraculously players are going to flock to the league website to investigate signing with struggling teams in the league. Is this the plan to fix the NA3HL’s problems? A propaganda article of your own making already disproven by the great majority of the leagues players? If so, its a plan that will predictably fail as much as the leagues sustainability plan has failed. Am I going to get text messages and calls from people asking why I voiced my opinion on this subject? Sure. Do I care? No. If you see a co-worker drinking from a toilet, are you going to say something or are you going to share a toothbrush with him? Are there solutions for the NA3HL’s problems? You bet there are. Am I going to provide those solutions to everyone? Not a chance. This is a market correction for Tier III that we have talked about for years. Its a long over due market correction. Once its complete, in roughly 24 months, Midget AAA will once again be stronger, and Tier III numbers will be diminished. We have said for years that players need to play at age appropriate levels. That means if you are 16, 17 or 18 and you are not in the USHL, NCDC, NAHL, or Canadian Tier II free to play, you should be playing Midget AAA. Period. USA Hockey says the same thing. AAU says the same thing. Hockey Canada says the same thing. The only people saying anything different are Tier III operators who are desperate to fill rosters because they know they are in an over saturated market and that their business is not sustainable. Let the phone calls begin.